Today the status of "disaster area" came home. 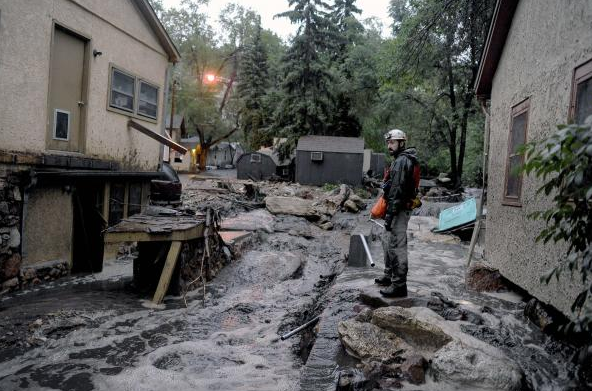 Boulder and surrounding counties are federally declared disaster areas, impacted by days of heavy rain turned into flood waters. For helpful information, you can also go to a situational map the VisionLink staff launched this morning. 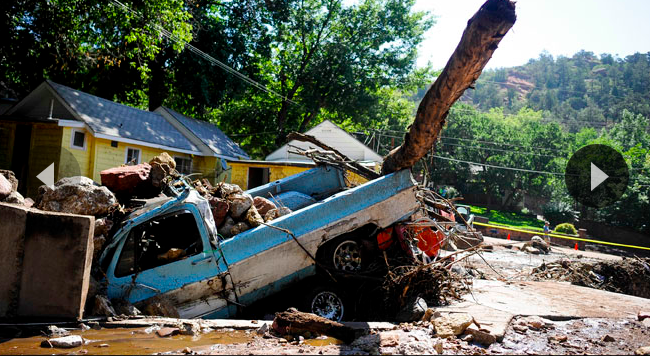 You can find it at BoulderFlood2013.Communityos.org. On this map you can find photos, real-time tweets, shelter locations, weather, road reports and more. Use the Options tab to control the data displayed on the map. If you are looking to re-connect friends and family, use the Red Cross Safe & Well system, at safeandwell.org. If you need to find shelters, download the Shelter View App at the App Store. Allow me to thank the VisionLink staff. Even as many of their homes were directly impacted by this disaster, our operations for the Red Cross, FEMA, United Ways, 2-1-1 call centers, Refugee and Elder Care programs and much more continued without interruption.